Here, you can subscribe to the next Bbug event about 3D Sculpting in Blender. We’ll see how Blender hold (or not) his ground versus ZBrush, all the tools of the Sculpting mode and finish the day by trying it out live. This workshop will be held by myself, a long time blenderhead who’s doing his best to both teach and learn each day something new. If you have a tablet, please bring it with you. It’s more fun this way. We now have 14 (temporarely) 10 seats (4 without PC). First come, first served (In case of conflict, priority will be given to BBUG members). You can count Marie and I at the same spot, because she could leave for his job and doesn’t take spot for someone else. I’d like to reserve a spot, i’ll bring my own laptop. Welcome to the Bbug ! Yay, I’m definitely IN for this one! @filipc, sorry to hear that but the .pdf grow step by step. I hope 2015 will be the year of the Bbug’s online manuals. Don’t worry, tell us when you know. I hope you’ll come though ; p.
I’d like to attend (first bbug event for me). Hi @hubert, welcome on the Bbug. Right now all our activities take place at the Botkamp near Porte the Hall. All info all available in the original post and on our schedule for 2015. I would like to join this event (first bbug event too). I can bring my laptop and my wacom tablet with me. I would like to join this workshop. I can bring my own laptop with me and tablet. Thanks @mystylaise for the cool refs! Here’s a WIP of what I did saturday afternoon + 1h on sunday. Nothing fancy and still a looooot to do. No references used at all, so that’s next step: correcting anatomical errors (while keeping him a bit cartoon). Thanks @collignon_david for the workshop! Do you plan to continue it? it would be nice. 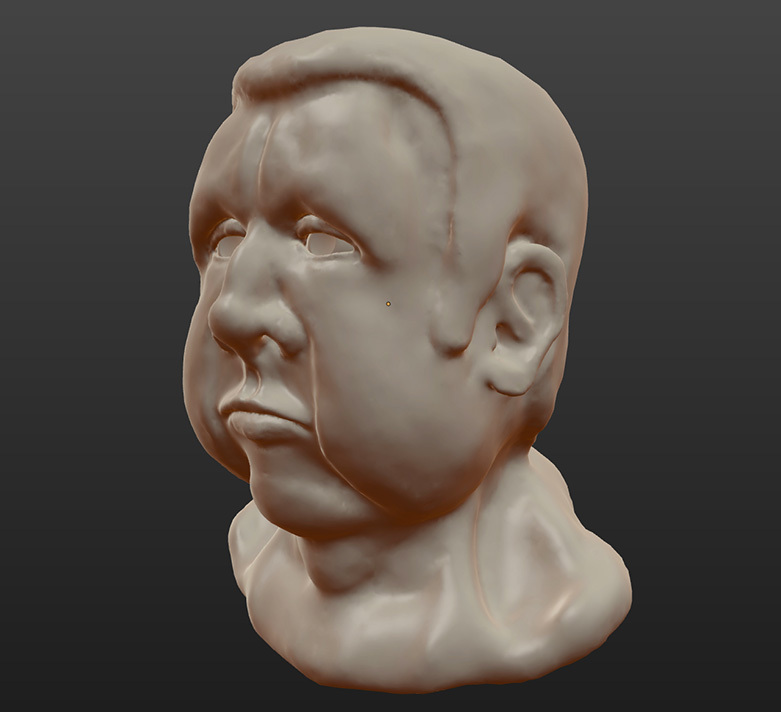 I’m having trouble to work with Dyntopo for details, though… When you zoom/dezoom it has a bad tendency to destroy details and geometry… Next step is probably retopo + anatomical corrections, and then sculpting with MultiRes ?